Owner and Director of Fossil Creek Strings, Michelle is a native of Arlington Texas. She grew up participating in the public school string program, starting in fifth grade. The mother of 5 children between the ages 13 and three Years, she is kept busy with many projects in and out of music. 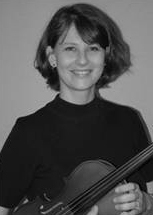 Mrs. Crosby has a Bachelor's degree in Music and has performed with many groups as section leader and player on violin and as a soloist. She is a founding member of the professional Fossil Creek String Quartet. An accomplished vocalist, Michelle has sung with several opera series including; The Game of Chance, The Magic Flute, and as Susanna in The Marriage of Figaro. A private violin, voice and piano teacher Michelle has taught many students to love music the way she does. Mrs. Crosby has served in many volunteer community and church positions as Music Chairman, Choir Director, Cub Scout Committee Chairman and on PTA Boards as well as other positions of leadership. Raised in Tampa, Fla. Don began playing Cello in the 7th Grade. Active in Orchestra throughout High School he participated in both Civic and school orchestras eventually earning a scholarship to the University of South Florida for Cello. Mr. Crosby has studied cello under two great American Cellist, the late Dudley Powers and the late Roger Drinkall. Mr. Crosby has played professionally in groups across Florida and as a member of the Susan Anton Orchestra. 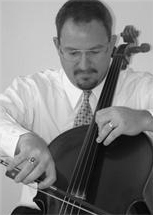 Don has performed with many orchestras as a section member and as principal cellist. He has also recorded a national Christmas special still shown today on PBS. Don continues to participate in various ensembles in the Dallas/Ft. Worth area. He is a co-founder of the Fossil Creek Strings Program and the Fossil Creek String Quartet. Mr. Crosby has a Bachelors degree in Communications with a minor in Music. Married to Mrs. Michelle Crosby for Fifteen years the couple has five children.